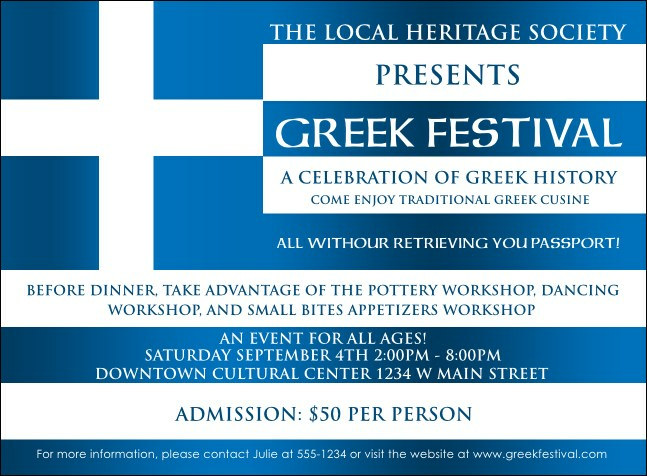 It's easy to embrace your heritage when you send out the Greek Flag Invitation! Crisp azure and white grace the template in celebration of the country's history. This invitation works for anything from community parties to benefit galas. Thirteen lines can be edited to fit your info. Raise awareness for any event with the right invitation from TicketPrinting.com!